Don’t you just hate when the wait at a restaurant is entirely way too long? Here in Naples, we are so lucky to have the snowbirds from October until April. Once they make their journey down, we are pretty much limited to take-out only. This is the only way to avoid the long lines. Who would ever think that a restaurant in BVille would include a long wait, right? Well, not exactly. On a Sunday evening when there are all of 2 restaurants open – minus fast food – the wait is going to be long. We found this out when we waited 40 minutes for Rib Country. A trip that literally takes 5 minutes to wait, gave us one heck of a Wait Before the Q.
Rib Country is a bbq chain and their BVille location is located pretty close to my gparents cabin. We arrived on Sunday evening, to a full parking lot. We put our name on the list and, after far too much confusion, were finally seated. I am going to spare you the details of the confusion…let’s just say it involves our name being listed as ‘Register’ on the waiting list. Once we sat, we decided to start off with the Onion Loaf. 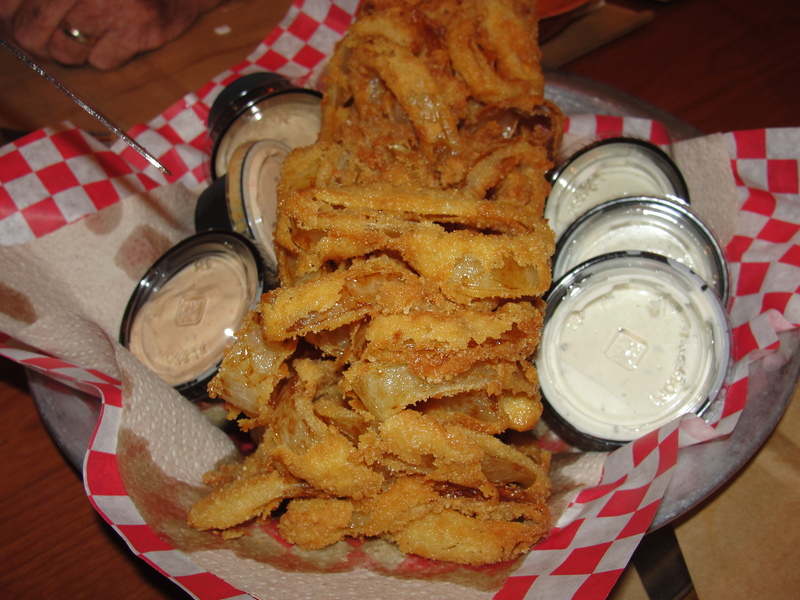 A staple of pretty much every bbq restaurant, is something onion related. So is the case at Rib Country. After just a few minutes, our loaf arrived. This seriously looked like a fried onion loaf of bread. It was served with two dipping sauces – one, a bloomin onion-esq sauce and the other, more along the lines of a ranch-blue cheese. I tried a bit of both of the sauces along with the bbq sauce. I had a few bites worth of the onion and it was good, but not great. The batter that the onion was fried in was crazy sweet. 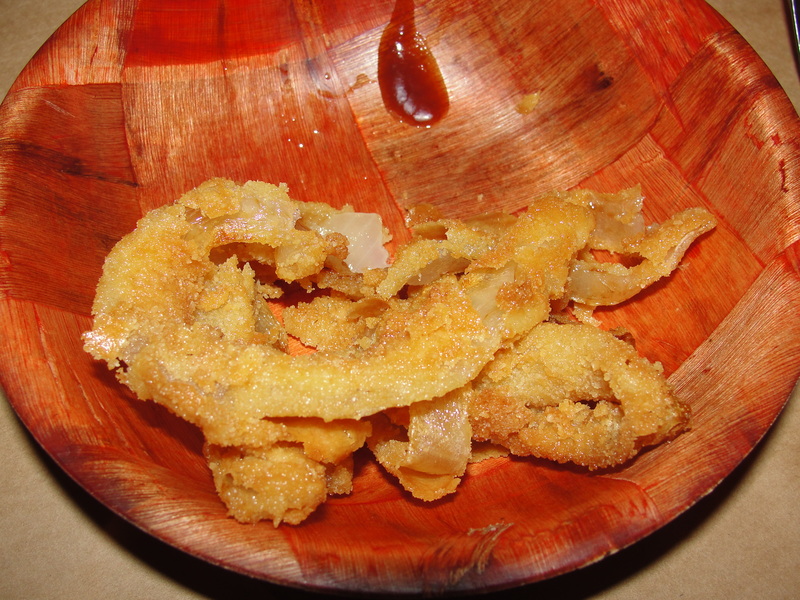 It completely overpowered the traditional taste of onion rings and made the loaf very, very sweet. While it was a bit too sweet for me, the onion itself was good. Every bite was fully cooked & crispy. I think I liked it most with the bloomin onion sauce but, again, I only had a few bites. I would not need to order this again. 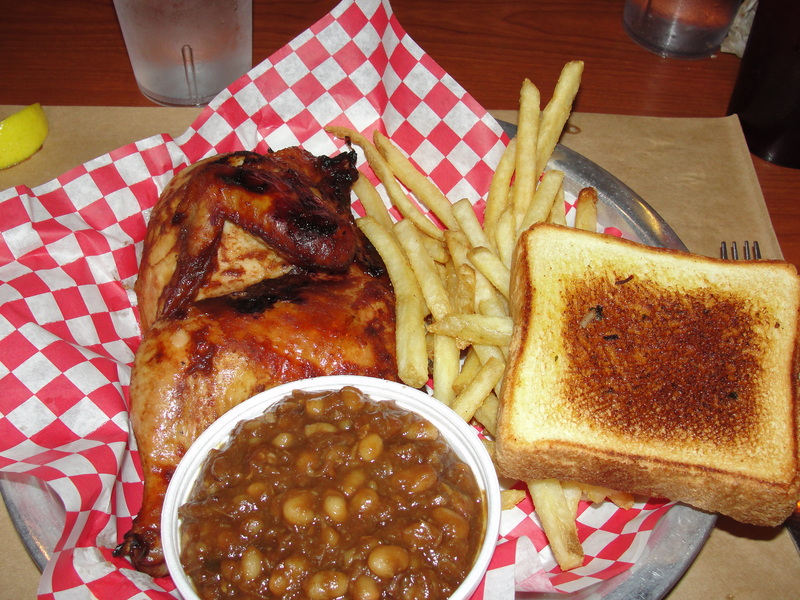 For my meal, I went with my usual order – bbq chicken, fries, baked beans and Texas Toast. Let’s start with the chicken. First off, this was a really big piece of chicken. On the outside, the chicken appeared to be coated with bbq spices. Once I got into the chicken, I found it to be smoky and crazy moist. Like this was beyond moist. I have to give Rib Country props for cooking this chicken perfectly. What I can’t give them props in, is the flavor. I really could not taste any bbq flavor or spices at all while eating the chicken. Also, it did not have a true smoky flavor even though it had the true pink smoky color. 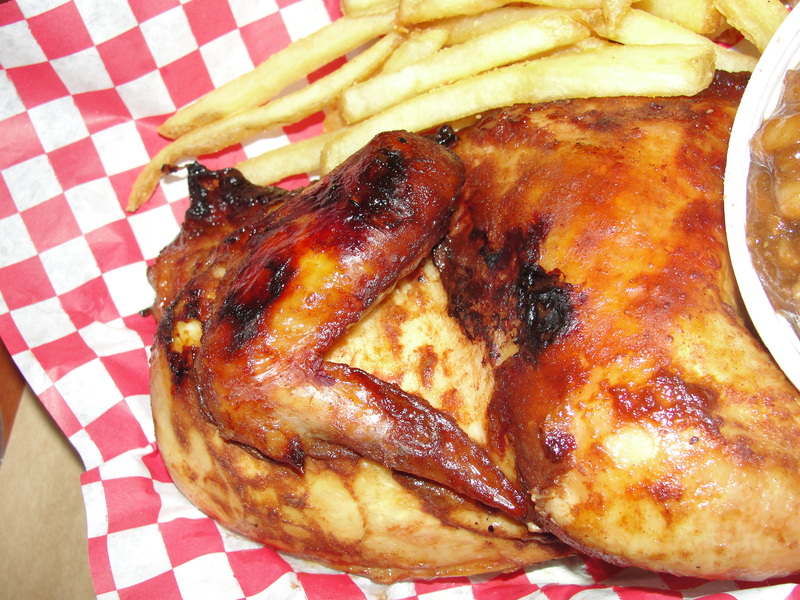 With the addition of bbq sauce – sweet & mild in flavor – the chicken was greatly improved. Plus, you could totally not beat the portion. The fries were not fresh-cut and you could really tell. These were nothing more than frozen fries. And, to be honest, the frozen fries I make at home are better. This isn’t to say that I didn’t eat my full serving. It’s just that I think if you want to serve fries, you need to serve them fresh-cut. I found myself using far too much bbq sauce on these fries. All that did was throw my blood sugar into overdrive. The bbq sauce was okay but, nothing that I would need to go back for. Next side was the baked beans. These were the weirdest baked beans I have ever had. In addition to the beans and sauce, there was something in these that made them chunky and thick. I have not the slightest idea as to what this was and, honestly, that should make me nervous. I know that it wasn’t any type of bbq meat but, besides that, I have no idea as to what it could have been. It didn’t add any flavor to the beans but rather, added a new consistency. 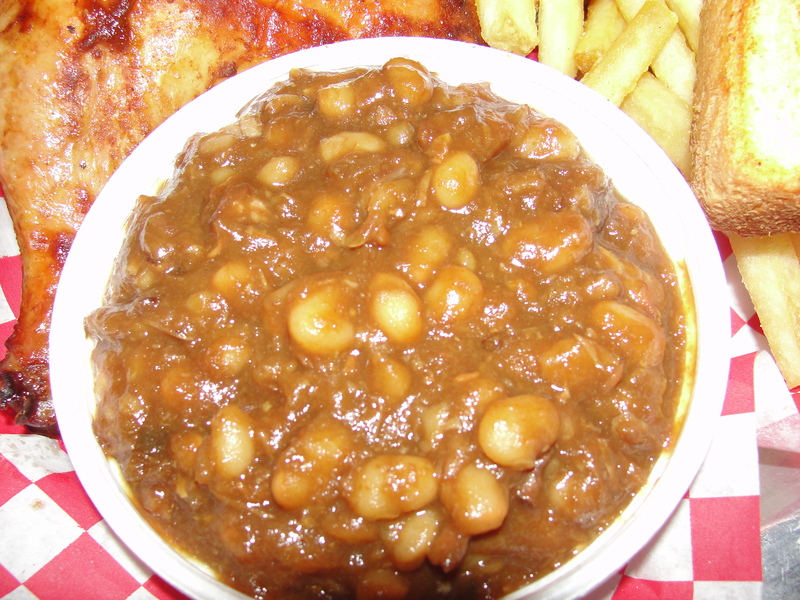 Rather than the beans just having the bean & thick consistency of the sauce, these required complete chewing. It was really weird. Thinking back on it now, I really should have found out what the heck I was eating. 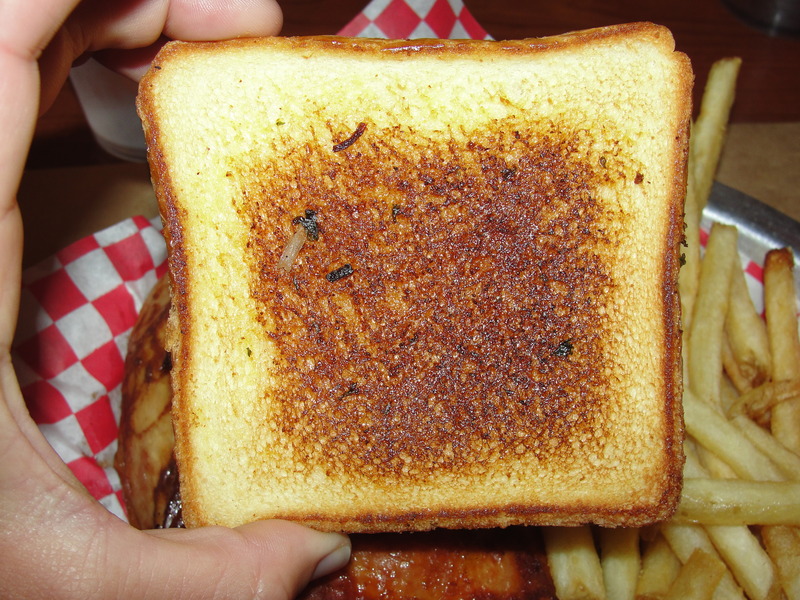 The Texas Toast, another staple at a bbq location, was good. It was cooked & toasty on the outside, while providing a soft & chewy interior. I ate most of this by itself but, I did find myself dipping pieces into the bbq sauce. My problem with bbq sauce is that I eat far too much of it. I will dip anything on my plate into it. Really, the Texas Toast is good enough to stand on its own and the dipping into the bbq sauce, really just took away from the flavor. Even though we had to wait an incredibly long time, our visit to Rib Country was good. Our waitress was quite friendly and she kept our drinks coming. This is certainly not the best bbq I have ever had however, I would have no problem returning to Rib Country. The chicken portion was great and oh so moist. If only they could switch to fresh-cut fries, and inform me of the contents of the baked beans, this place would be pretty darn good. Just remember…do not visit on a Sunday night in BVille. I guarantee if you do, you will experience The Wait Before the Q.